Badda Bling! 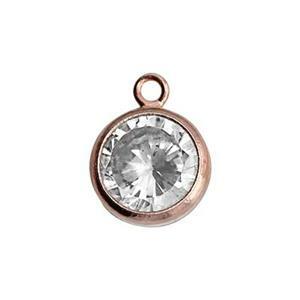 Little droplets of bling – the GFR76CZ – 14/20 Rose Gold Filled Bezel Drop Charms with 6mm CZ. Whether you want a gentle rain or a shower – add as few or as many as you like to your jewelry designs! Click here to check out all our CZ charms and jewelry findings.